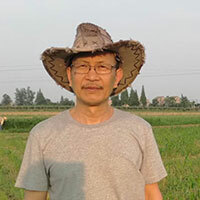 Yuan Changming currently edits Poetry Pacific with Allen Yuan in Vancouver; credits include ten Pushcart nominations, the 2018 Naji Naaman’s Literary Prize, Best of the Best Canadian Poetry, BestNewPoemsOnline, Threepenny Review and 1,479 others worldwide. This poem is so quiet in its beauty. I appreciate every line.